Its that time again.....Time to pull out your favorite throw blankets. At my house we can't get enough throws. They get drug around the house, made into forts and wrapped around us for early morning snuggles. This beautiful modern throw would be perfect. 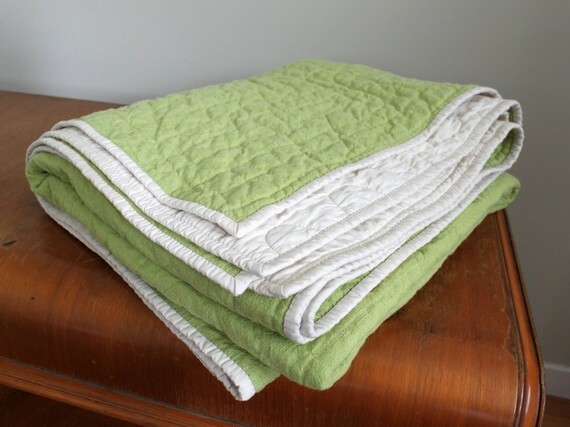 Soft yet crisp Kona muslin cotton and the reverse is made with a soft lime green linen. 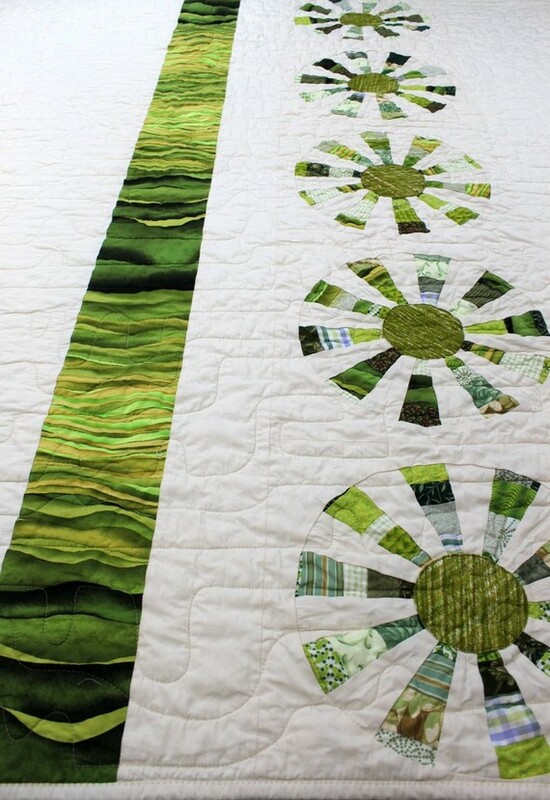 The design of the quilt is made up of petals in a patchwork of many different green cotton fabrics and a bar of variegated green that adds pop to the sophisticated white background. Hand made by Stacey Sharman. 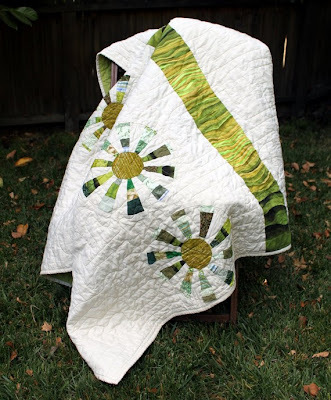 Find it at Peppermint Pinwheels.